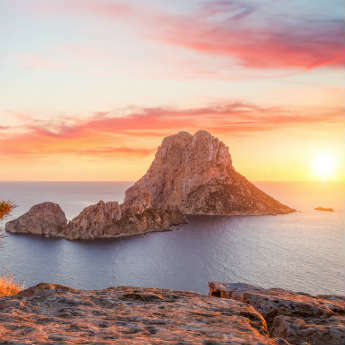 The White Isle, Party Island, Clubber's Paradise...whatever you want to call Ibiza, it's a well-known fact that this Spanish island is associated with a world famous party atmosphere. 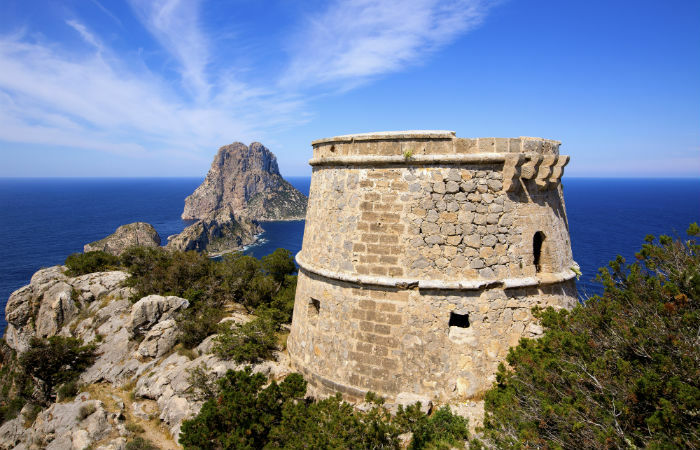 While the clubs and bars are some of the best in the world, there's a lot more to Ibiza than you might think – quiet beaches, old cathedrals and rocky islands are a world away from crazy Pacha. We know what you're thinking, “quiet beaches? 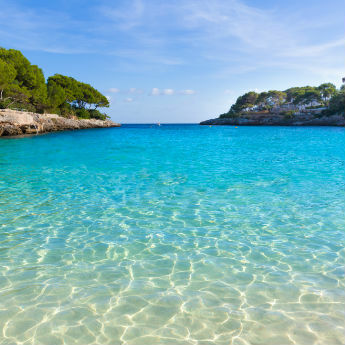 !” Yes that's right and here are 4 places you won't believe are in Ibiza! 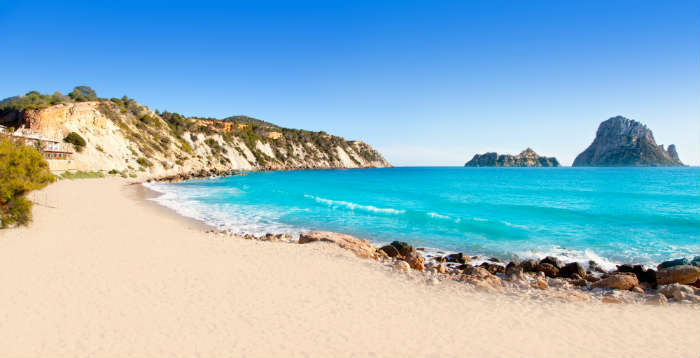 This beautiful beach, Cala d'Hort is a stretch of golden sand that anyone would be happy to stumble across in Ibiza. Although it can get busy in the height of summer, being here gets you away from the hustle and bustle of the loud bars and clubs. It is a steep walk down to Cala d’Hort but you are rewarded by beautiful views, food from one of the restaurants along the shore and you can end your day by watching the sunset over the mysterious Es Vedrá! 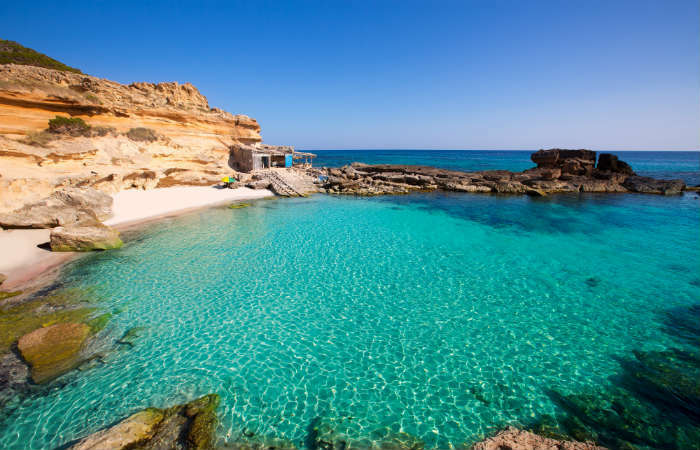 Ibiza's sister island, Formentera is the place to go if you need some true peace and quiet. Catch the ferry from Ibiza Town to this tropical paradise and you'll feel like you've been transported to the Caribbean! With white sand and brilliantly turquoise seas, it's the perfect place to get in touch with your inner hippie. Spend your day looking around by hiring a bike or why not just take a leisurely stroll around the island. You'll probably find us on the sand just soaking in the tranquil atmosphere! 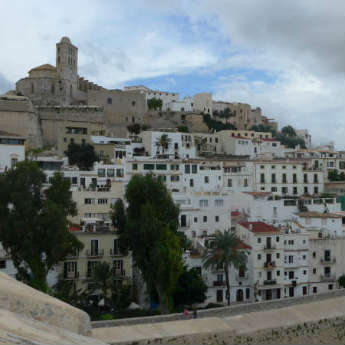 Long before Pacha, Space and Amnesia came onto the Ibiza scene, there was the Santa Maria Cathedral in Ibiza Town's old town, Dalt Vila. Perched on the highest point of the city, Santa Maria Cathedral is the crowning point of Ibiza Town and it looks over towards beautiful Formentera. 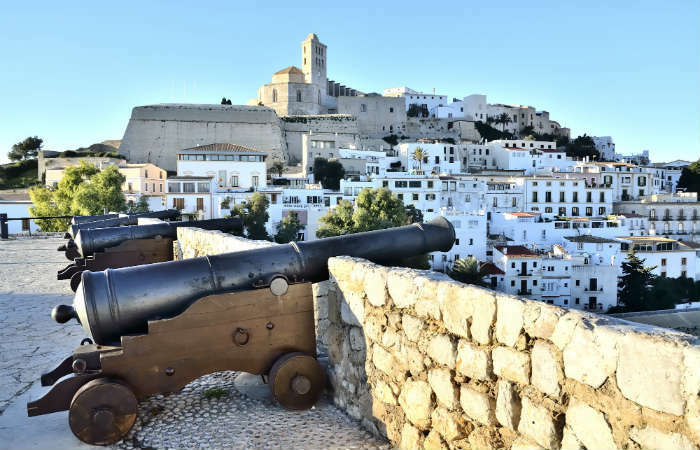 Climb through the cobbled streets to reach this World Heritage Site and you'll be rewarded with some of the most stunning views of Ibiza. If the only wildlife you're seeing in Ibiza is hungover humans by the pool, then you might want to head out to Es Vedrá. This rocky island is home to wild goats, endangered falcons and lizards which scurry across the land. Trek around during the day but make sure to stop for sunset – they're meant to be magical! By Emma Hart - Enjoying the more peaceful side of Ibiza.